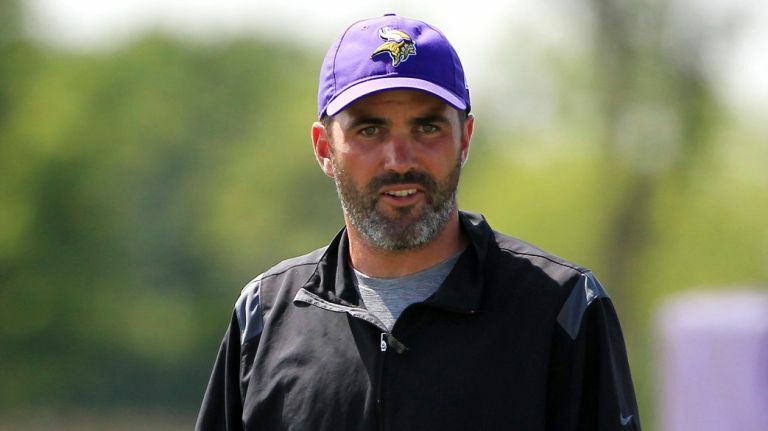 The Vikings have denied the Giants permission to interview quarterbacks coach Kevin Stefanski to be their offensvie coordinator, Daniel Popper of the New York Daily News reports. Stefanski, who has been with the Vikings since 2006, will remain in Minnesota and won’t be joining new Big Blue head coach Pat Shurmur. Sporting News reported earlier this week that Stefanski was Shurmur’s preferred choice for offensive coordinator, but the Vikings would not release him from his contract unless they were able to hire Eagles quarterbacks coach John DeFilippo as their next OC. With Stefanski off the table, the Giants may turn their sights to Eagles running backs coach and former NFL running back Duce Staley to fill their vacant offensive coordinator job.